I am psyched for this fabulous opportunity! Renee La Tulippie shared this with her students from her Lyrical Language Lab course which was another amazing experience! Thank you in advance ladies, let the words fly! 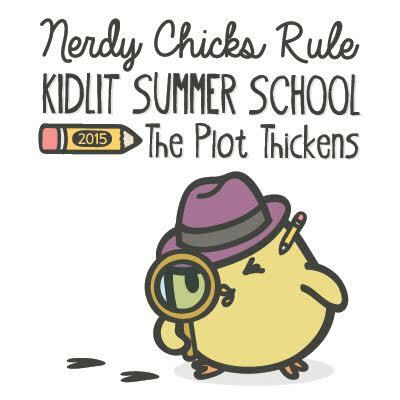 REBLOG: Summer School for #kidlit #writers. Here’s a great thing to follow up with after Summer Sparks. They are holding sign ups now. I’ve already registered. It’s going to be a great time!! This looks fantastic! Kami, my 11 year old daughter and I both read your books recently–they are so MUCH fun! So glad she liked it! Thanks for reading both books! Glad you liked them too and look forward to seeing you during Summer School! Great opportunity for keeping writers focused this summer. I shared it on Facebook and Twitter. Thank you for a wonderful opportunity to learn and share. Hooray! I’m in. I can’t wait to get to work with everyone. Thank you for providing the opportunity. Looks great–thank you for offering this! You’re welcome! We think the content will help keep us on task too. So excited….thanks so much for offering this!!!! So excited I’ll be seeing you! I am so excited! Thanks for the help! 🙂 to you all! It will be fun! I’m so totally jazzed that YOU are totally jazzed!! Oh, I certainly hope after reading it, you’ll love it (and me)! Love the name Summer School! 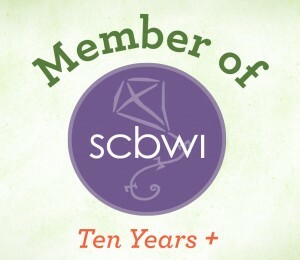 Looking forward to participating. This looks like a lot of fun and just what I need to keep me focused. Thanks! I think I am signed up. I hope I filled out the right form. Rosi _ I checked – you’re all good! Thanks so much for hosting this. I feel isolated as a writer sometimes. I know that there is synergy created when creative people share ideas and info. It will be fabulous. Sharpening some pencils and inhaling the sweet scent of a new eraser. Can’t wait! You better sit next to me in class. Hi! I came across this on a friend’s Facebook post. I’m not a writer but am very interested in learning. Would this be the right forum for me to learn?? There should be a lot of great lessons from a lot of great authors during summer school, so I hope you’ll join us! Thanks for the prompt reply! Sorry for all the questions. ..but it is online, correct? Hi Marissa, Basically you will get all of your info right here on the blog. You can follow it and have posts emailed to you or check it daily. Participating authors will be posting info-filled posts during summer school so you can pick up tips! We’re planning some other things too, but this is a participate at-will as-you have time event so it should suit any schedule. This sounds like a wonderful opportunity. Thanks so much! Just registered a minute ago but not sure it went through! What a fab opportunity. Thank you so much. Summer school never sounded so good! 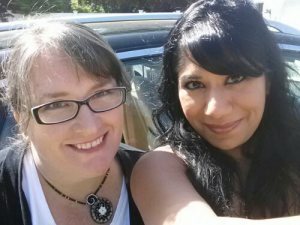 Ronna – I checked, you’re all signed up! Wow, thank you so much for doing this! With my girls home all summer, I could use some extra motivation and always love the chance to improve my craft. I can’t wait until summer school starts! Looking forward to it! Thanks for the opportunity. Wow, what a great opportunity! Thanks for putting this together! You’re welcome! We’re really looking forward to it! 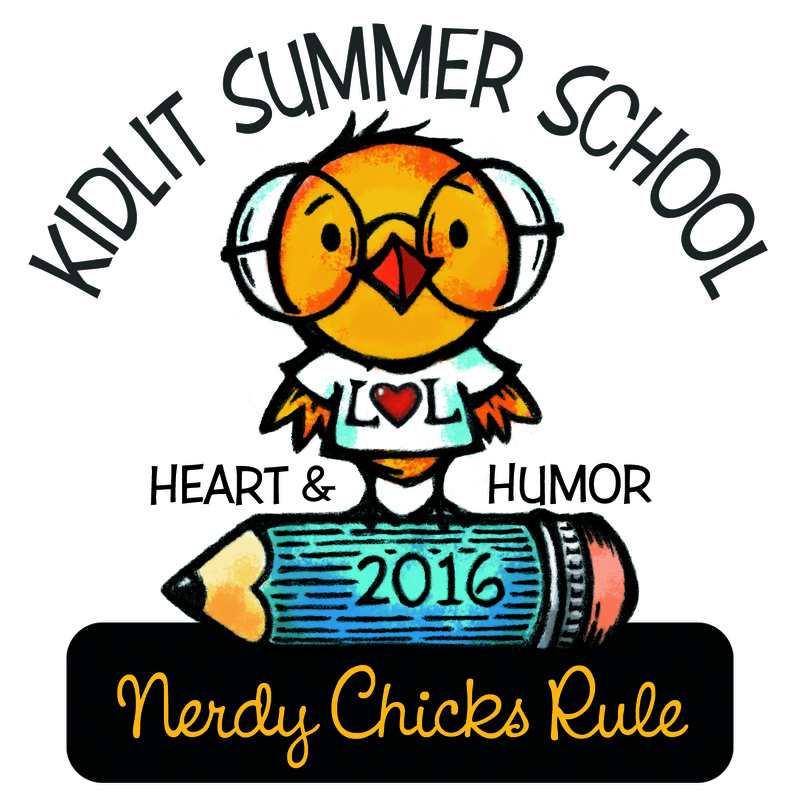 I’m looking forward to going “back to school!” Thank you for this opportunity, Nerdy Chicks! 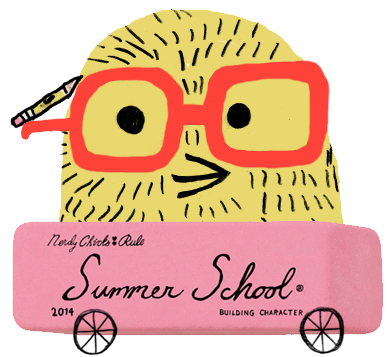 I’ve always loved summer school, can’t wait to begin! Thank you both for providing this great opportunity. I am taking this challenge. What are you doing this summer to hone your writing craft? Can a nerdy guy get in on the fun and learn a few things? Oh, Russ, OF COURSE! Everyone is welcome in our nerdy chicken universe! Groovy! Looking forward to learning some stuff. Thank you for doing this, Sudipta and Kami! You’re so welcome! And thanks for reblogging this Jackie! What a fabulous opportunity! Thank you so much! And it’s great that it’s flexible too. You have no idea how much I need this!!! Thank you so much!!! HOPE i’m signed up….Do you send a confirmation? Anyway, it’s a lovely thing to do. You’re in Maria! It’s a VERY simple system and, as yet, there is no confirmation, but we haven’t missed anyone yet who has asked so we have faith in our simple system! I preregistered for the course but I will not be able to take it after all. Please offer my slot to someone else. Thank you. Tahira – this isn’t a class with grades or assignments or set slots! You can come read the “lessons” any time you want. Hope this helps! We’re looking forward to it too! We love all of the comments! But you don’t have to comment to sign up, so this only reflects a small, but well appreciated percentage of those signed up. We’re excited!